I’m always looking for people, things, videos…anything, that inspires me. Inspiration creatively, visually, mentally, spiritually, just something that moves me. I’ve been fortunate to not only meet, but sometimes shoot many who move me in some way. Because of this, I’m starting a new interview series where we get a chance to speak with some of these people who have moved me in some way and see what they have going on. 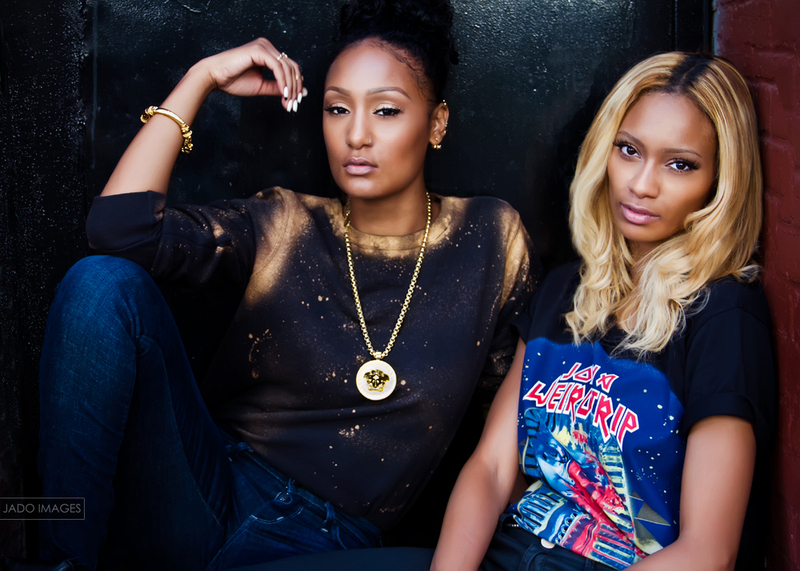 For the 1st interview post, I spoke with female music duo, GossYp. I’ve had the pleasure of shooting these beautiful sisters, Adina and Amina, a few time this year. 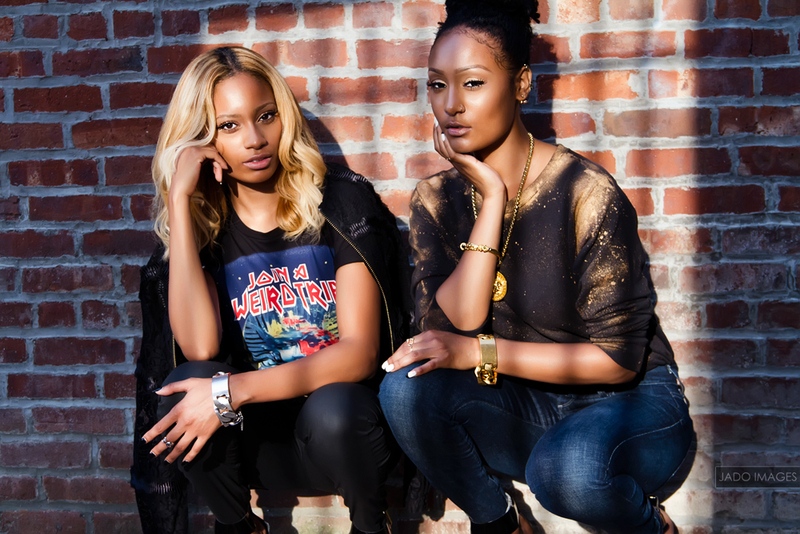 Not only are these Brooklyn born, Long Island-bred girls, chill, down to earth, and nice, they are some stylish divas! From street to high fashion style, they have it, and they always get my fashion/style juices flowing. Check out our convo, and more importantly visit them at the Aglit Italy pop-up shop (355 Bowery) in NYC on Black Friday to pick up your luxury shoelaces. Their leather laces makes me really want to get my Jordan 1s stat, and those suede laces are TOUGH! WGYM: So we know you are sisters, but I’ve read conflicting reports that you guys were twins. Are you actually twins? GOSSYP: This is a question get asked at least once a day! As fun as it would be we are not twins, simply sisters! WGYM: How long have you two been making music? GOSSYP: We always say that “we’ve been making music since we came out the womb” but have been making music for 10 years. We have been making music officially as GossYp for 6 of those years. WGYM: What can we expect musically from your upcoming project? Does it have a release date? GOSSYP: The people can expect something epic! Something undeniably eccentric, modern, yet innovative. Our music is so new and different that it is almost difficult to label or classify. We are looking to release our music at the top of 2014. WGYM: Who have you been working with? Artists? Producers? GOSSYP: We have been working with the wonderful songwriter/producer/arranger Bascy Warhol, producer extraordinaire Anonymous and talented upcoming songwriter/artist Shidi. WGYM: Does the project have a name? GOSSYP: The project does not yet have a name. That will be the sprinkles on the ice cream once all the songs are ready! WGYM: If anyone follows your Instagram feed (@igossyp) they’ll quickly learn that in addition to being beautiful musicians, you are also fashion junkies. Which celebrity closet(s) would you like to raid? GOSSYP: Well, well, well, if we had the chance to raid any celebrities’ closet we would definitely choose Kanye West, Prince, Anna Wintour, Rachel Zoe and Rihanna! WGYM: Super dope! You would definitely finds some incredible pieces in those closets! WGYM: Can you talk about your collaboration with Aglit Italy for the “Lace Up” campaign? How did it come about? GOSSYP: We are not just apart of the Lace Up campaign; we’re apart of the brand Aglit Italy. We partnered with them on two color ways, “Naked” and “Carolina Blue”. It came about through a mutual friend who thought it would be a good idea for us to collaborate with the brand. We met with the people behind the brand and we had a lot of mutual ideas in common. From there the rest is history. WGYM: How do you like to rock your Aglit Italy laces? Amina: I like to rock mine in an understated kind of plain sneaker so that the laces pop. Throw them in a fresh pair of chucks and I’m good! Adina: I like to rock my laces in a nice pair of high top sneakers! I really like Jordan 1s and think the laces look dope in those. But you can also catch me in some high-end Margielas or Monica Chiang sneakers laced up real nice. WGYM: : Do you have any other fashion related projects coming up? GOSSYP: Maybe, stay tuned… There might even be a special GossYp venture in the works (wink, wink). WGYM: Ohhh I’m excited! What 3 items do you feel are essential in a woman’s closet? GOSSYP: 3 essential items would be a button-up Oxford shirt, a nice fitting black dress, and great pair of jeans. WGYM: And back to music. What 3 songs are in heavy rotation for you right now? Adina: I really listen to our own music currently, but my favorite three songs in heavy rotation include “Summertime Sadness” by Lana Del Rey, “Pound Cake” by Drake and Jay Z and “Royals” by Lorde. Look out for more peeps who get me moving and pick up your Aglit Italy laces! Let me know how you rock yours! Happy Thanksgiving!